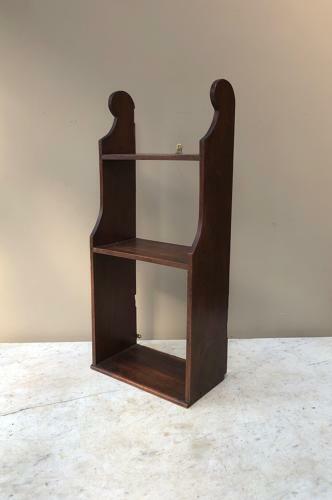 Pretty small size Victorain Mahogony Shelves...handy piece. Few holes in the back where hinges have been put over the years. Can be posted in a large box Parcel Force 48 for £15.